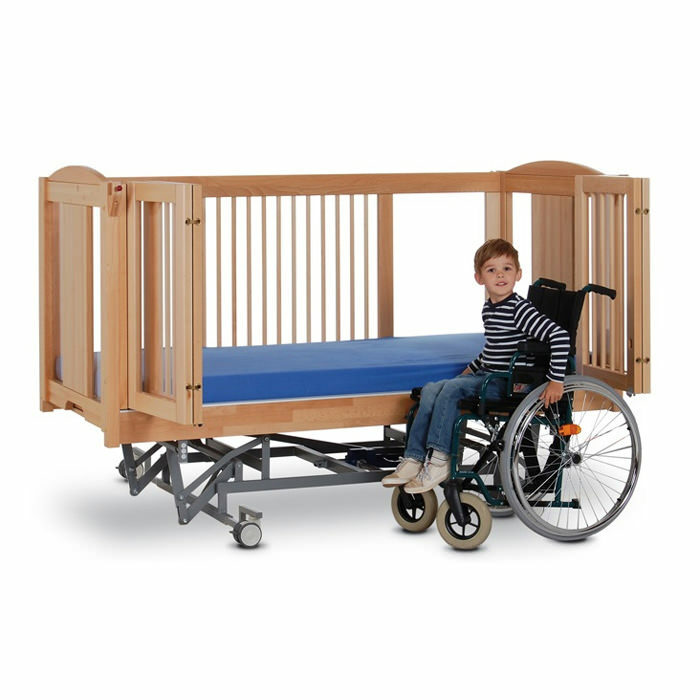 Kayserbetten Ida III hydraulic manual articulation homecare bed is suitable for non-ambulatory clients, who are unable to pull up or tall kneel. 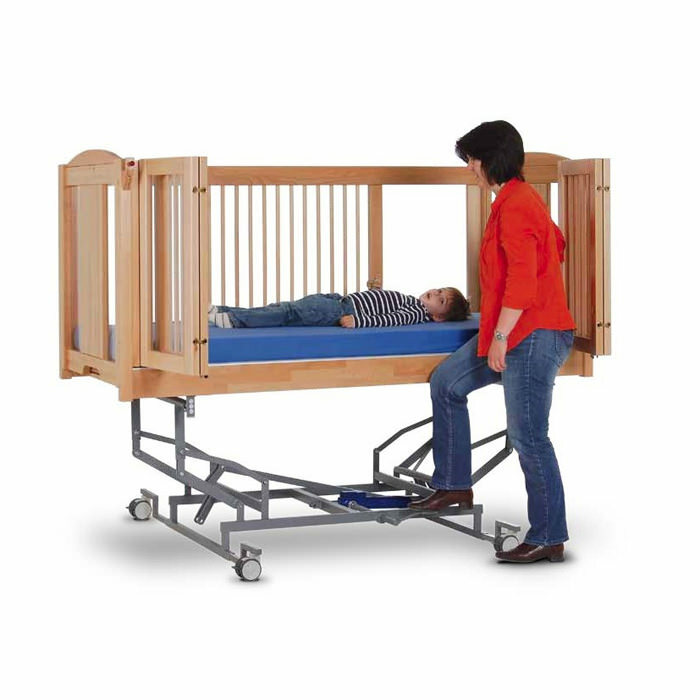 Ideal for in home nursing care, Ida accommodates caregivers at an ergonomic height. Ida offers height adjustment, manual articulation and a low threshold. 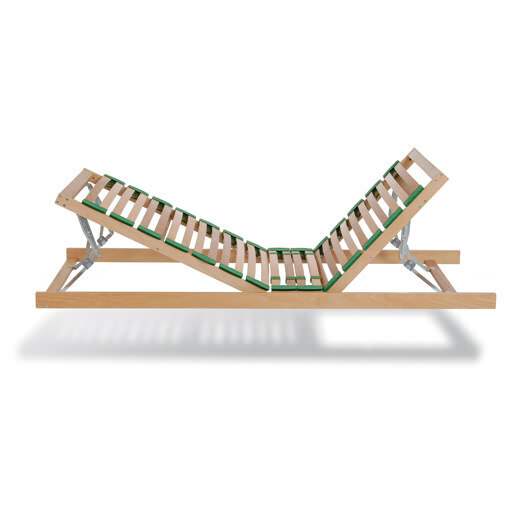 The safety rail stays consistent when adjusted in height. Weight capacity of up to 330 lbs. 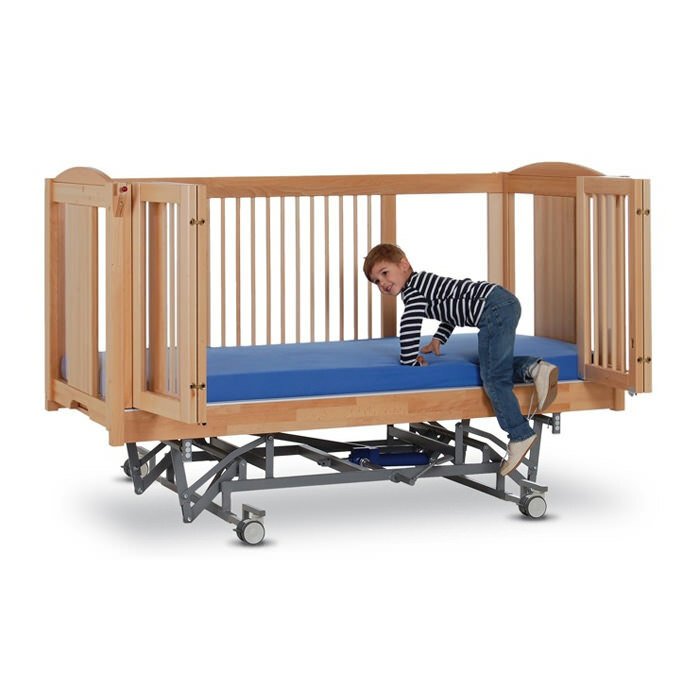 Inside dimensions 79" x 35"
Outside dimensions 88" x 45"
Height adjustment from 22" to 36"
Unlimited Full One-Year Warranty - Beds are warranted against defects in workmanship or materials for a period of one year from the date of purchase. Any defective part will be replaced at no cost to the purchaser. Limited Five Year Warranty - During the second through fifth years from the date of purchase, any part found to be defective will be replaced. Purchaser shall pay all service and shipping costs related to the replacement of defective part. Warranty Condition - This warranty applies to normal use and does not cover any damage caused by normal wear, abuse, misuse, mishandling or modification of the product.